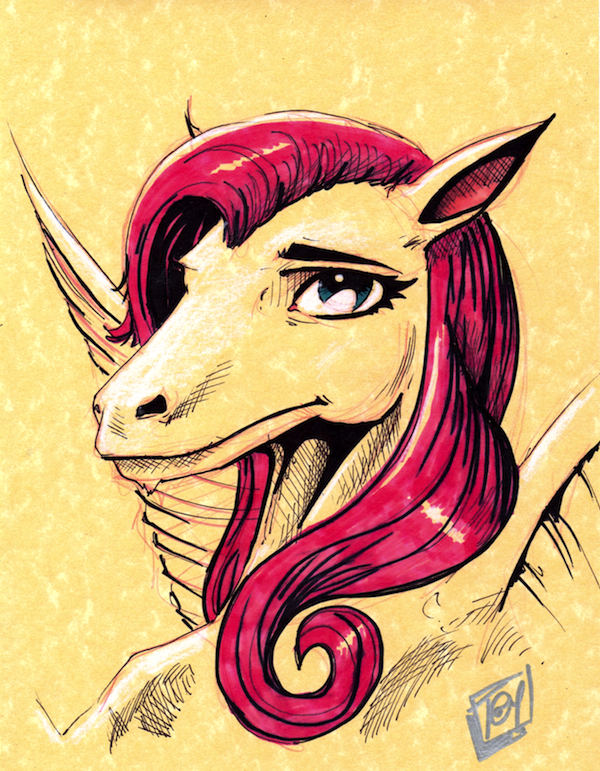 Taylor's Sweet Little Art and Nerd Site: Pin-up of the day- Fluttershy! 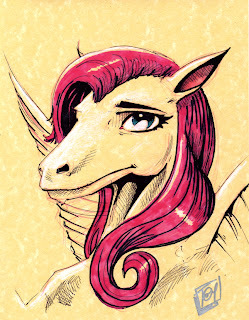 Another My Little Pony has been added to the roster of pin-ups I've done. The first was Twilight Sparkle, this time it is Fluttershy! This pony pin-up was a birthday gift for my best friends' youngest daughter. She is a big fan of this pony and she loved this piece. I am starting to wonder if I should just go ahead and go through the roster of the major characters of My little Pony: Friendship is Magic. Who should I draw next? You can also see this piece here in my deviantart gallery. I do have a table for the Sci-Fi Expo on February 9-10th. I'll be there with some new work to sell,my pin-up girl posters, the newest issue of Xenex the Bug Man and custom toys. Jeff will be there with me selling some Marvindog media merchandise and taking toy memory recordings! Stop by, say,"hi", and show your support. I hope to see you there!